Yeun was born in Seoul, South Korea, to South Korean parents Je and Jun Yeun. His father was an architect in South Korea before moving his family to Regina, Saskatchewan, and later to Michigan. Yeun was raised in Troy, Michigan in a Christian household. 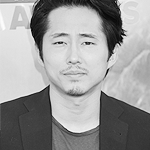 Yeun’s parents began calling him “Steven” after meeting a doctor by that name. His parents owned beauty-supply stores in Detroit. 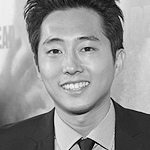 Yeun received a bachelor’s degree in psychology with a concentration in neuroscience from Kalamazoo College in 2005. At Kalamazoo, he met Jordan Klepper through Klepper’s sister and later followed him to Chicago to join Second City. Yeun’s interest in acting and improv came during his freshman year at Kalamazoo, when he watched the college’s improv group, Monkapult. He auditioned for Monkapult, but was initially rejected before successfully joining the group during his sophomore year. Yeun revealed to his parents that he planned to pursue an improv career in Chicago instead of enrolling in law school or medical school. His parents, while unhappy with the decision, were supportive, according to Yeun, and gave him two years to pursue acting. Yeun moved to Chicago in 2005, living in the city’s Lincoln Square with his brother. Shortly after graduation, he joined Stir Friday Night, a sketch comedy group composed of Asian-American members. Other alumni of the group include Danny Pudi from Community. He joined The Second City in Chicago before moving to Los Angeles in October 2009. Yeun’s biggest role to date was Glenn Rhee on The Walking Dead, an AMC television horror drama based on the comic book series of the same name. The series began in 2010 with Glenn as one of the original main characters who fights to survive in a violent apocalyptic world infested with flesh-eating walkers as well as other humans, some of whom are more dangerous than the walkers. The drama is the highest rated series in cable television history, with its third through sixth season garnering the most 18 to 49-year-old viewers of any cable or broadcast television series. The series has received mostly positive reviews from professional television critics. Yeun left the show in 2016 after his character Glenn was killed off in the season 7 premiere. In March 2016, Yeun was cast in Joe Lynch’s action horror film Mayhem. The film was released in theaters on November 10, 2017. In April 2016, Yeun was cast in Bong Joon-ho’s action-adventure film Okja. The film was released on Netflix on June 28, 2017. In June 2017, Yeun was cast in the sci-fi comedy film Sorry to Bother You. The film is set to be released in theaters on July 6, 2018. In 2018, Yeun starred in the South Korean mystery drama film Burning, directed by Lee Chang-dong. The film was first revealed at the 2018 Cannes Film Festival. Yeun has also voice acted in both animated series and films. Some of these roles include Avatar Wan in season 2 of The Legend of Korra, Steve Palchuk in Trollhunters, Keith in Voltron: Legendary Defender, Nathan Park / Wingspan in Stretch Armstrong and the Flex Fighters, and Little Cato in Final Space, the latter three of which are still active roles. Yeun also provided the voice of Bo in The Star. It was later revealed that Yeun’s role as Steve Palchuk will be extended into 3 Below and Wizards, the second and third series of the Tales of Arcadia trilogy.